StannahTalk, Summer 2018: A Right Royal Edition! … Especially this edition, packed with news of Brian and Alan Stannah’s MBEs and two imminent royal weddings. And much, much more – all thanks to bandv. 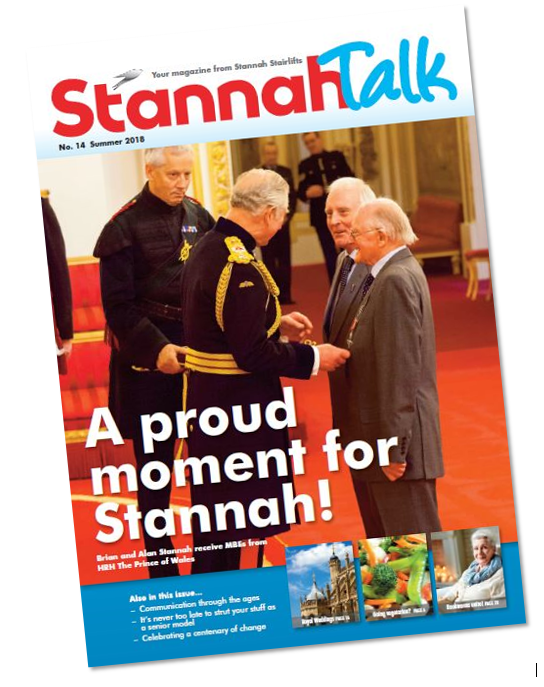 StannahTalk is THE magazine of Stannah Stairlifts, the parent of a world-renowned range of appliances that helps people enjoy the freedom of their own home for as long as possible. 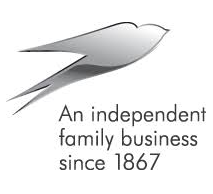 That's 28,800 copies of 24 pages of interest, entertainment and attention to mobility needs, with insight into Stannah Stairlifts – the company, its people and products. Researched, written, designed and produced by team bandv, it's a bit of a flier too, with readership rates soaring steadily since it was just an egg of an idea way back in 2011. So, here's to StannahTalk, Summer 2018 – outbound marketing at its best, and winging its way to Stannah stairlift users throughout the UK – not by carrier swift but by Whistl. Think how a full-colour publication can boost your business, generating support and recommendation from its readers – your customers/clients/end-users.